Memory, also called RAM for Random Access Memory, is a form of temporary computer data storage. It is volatile, meaning when the computer is turned off, it loses the data. The main function of memory is to take data from the hard drive and send it to the CPU in "chunks" at a time. The more memory that is available to accomplish this task, the faster the results. For this reason, a gaming computer requires a substantial amount of RAM to ensure a great gaming experience. Below is an example of memory made for a gaming computer. The heat-sink around the module provides improved heat dissipation. There are many types of computer memory available on the market. Laptops use smaller memory modules called SO-DIMM or micro DIMM. Their desktop counterparts use the DDR-DIMM (Double-Data Rate) specification and the latest release is the DDR3 style, which has replaced the older DDR2 style. With each new memory type released, the memory's speed is enhanced to faster deliver information to the processor. However, please note that a motherboard is designed to support a particular memory type and will not support multiple types. For example, a motherboard supporting the DDR2 memory specification cannot accept DDR3 memory. Thankfully, computer memory manufacturers have devised an easy way to avoid this problem; the memory module itself has the "notch" at the bottom placed in different locations for the different types of memory. As a result, a DDR2 memory module will not physically fit into a DDR3 slot on a motherboard. The RAM's speed is directly related to the amount of information it can hold, and this speed is measured in gigabytes (GB). If you buy a matched pair of memory, meaning two RAM sticks of the same size that are sold together in a package, the memory can operate in dual channel mode if your motherboard supports this feature. This delivers even faster performance and is ideal for a gaming computer. RAM has a very unique naming convention. RAM sets are generally advertised as PC8500, PC10600, and all the way up to PC12800. All the letters and numbers can be quite confusing so let's break down the naming scheme. The number after the "PC" indicates the speed the RAM was designed to operate with the higher the number resulting in faster speed. However, you can't just buy whatever RAM speed you feel like, you must be sure your motherboard can support it. For example, if you buy memory rated at PC12800 but your motherboard only supports a memory speed of PC10600, it will not work and the computer will most likely not even boot up. Be sure to consult your motherboard manual for the supported memory type and speed. On the other hand, if your motherboard supports a higher speed than the RAM you've purchased or currently have, this should work just fine. The motherboard will use the memory at the maximum speed the memory will allow. For the gaming computer, we recommend using at least 4 GB of the latest DDR3 memory. It is important to make sure your motherboard has enough open slots to support the amount of memory you plan to buy. A great program that tells you all about your current installed memory is called CPU ID. It can be downloaded for free from here. The very useful program tells you the type of memory you currently have installed (DDR2, DDR3) and the slots that they are installed in. All you have to do is click on the "Memory" button from the top menu bar choices and the ensuing screen shows the type, size, and whether the memory is running in dual channel mode. The next menu choice over, "SPD," shows the module size, the manufacturer, and what slot in your computer it is occupying. All this is very useful information and you didn't even have to open your computer up! Easy right? Without a doubt, I recommend using Corsair for your memory needs . They have been one of the top producers of computer memory for years. We have used Corsair memory extensively for the last decade because they consistently receive very high reviews and we have no complaints whatsoever. If you are not a fan of Corsair, our next choices would be Crucial or GSkill. They are also great computer memory manufacturers. Having enough memory in a gaming computer is very important. Using 4 GB of DDR3 memory for a gaming rig is a must and with memory prices as low as they currently are, an easy decision. Along with the processor and video card, memory plays a vital role in running the latest computer games with high frame rates without slowdown. Get yourself some high quality memory for your gaming computer, you'll be glad you did. 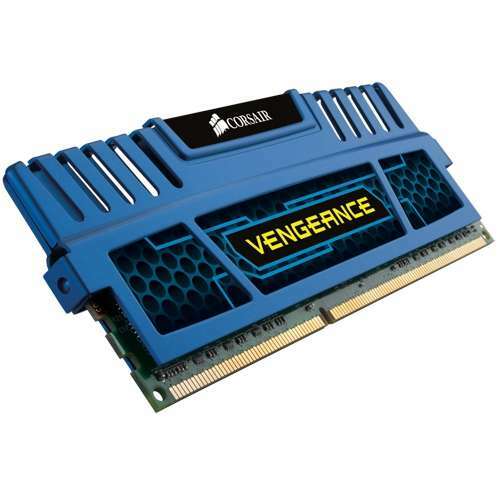 For a great selection on computer memory and at great prices, check out www.TigerDirect.com.